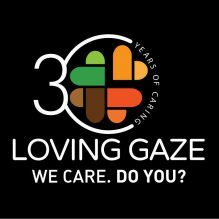 Loving Gaze thanks Guaranty Trust Bank for supporting, for one year, twenty-five HIV patients followed by St Kizito Clinic and for donating the EKG machine and a new microscope. HIV routine drugs are provided free of charge already, nevertheless the patients require routine laboratory and chest x-rays (every six months), specialist consultations and other medication to treat HIV opportunistic infections which can be life threatening. Every year we also have among our HIV patients, at least 30 pregnant mothers. They are provided with drugs that stop the transmission of the virus from mother to child. These women are also registered in our ante-natal care unit and require extensive treatment to enable them deliver babies that are free of the virus. Most of our patients are low income earners and cannot afford the extra services they need to maintain a healthy life, and therefore depend exclusively on our support. 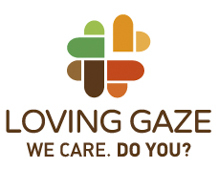 Loving Gaze helps them with the assistance of a social worker who visits them at home, organises vocational trainings and where needed supports them with micro-loans to start-up their own small activity. GTBank generous donation will allow us to fully support (medical and social care) 25 patients for one year. St. Kizito Clinic, located at Jakande (urban Slum) in Eti-Osa LGA, is a comprehensive HIV care centre where we provide medical and psychosocial support to about 375 patients under our care (in year 2016). Over 70% of these patients are women. St. Kizito Clinic became an accredited PMTCT Centre (Prevention Mother to Child Transmission) in 2007 averaging over 30 pregnant HIV positive mothers per year. From 2007 to 2012, we had over 150 HIV positive mothers, and all of them delivered babies that were free of the HIV virus. In 2013, we became a comprehensive ART (Anti-Retroviral Treatment) Centre conducting about 6,000 HIV tests per year. 10% of our screened patients are HIV positive, which is significantly highly than the national average at about 5%, and over 70% of these patients are women.